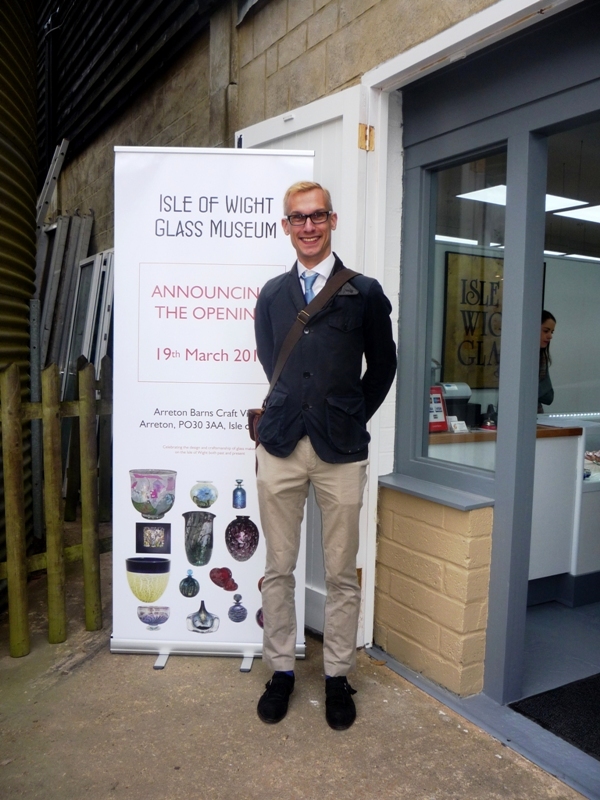 After a year of hard work, Isle of Wight Glass Museum, located at Arreton Barns, the Island’s largest arts and crafts centre, opened recently. This museum showcases glass produced by the Island’s many studios, past and present, as well as a fine collection of European Art Deco glass. Around one thousand pieces will be on show on the two floors of exhibition space. On the upper floor there is a coffee lounge where visitors can relax whilst still viewing the glass exhibits. 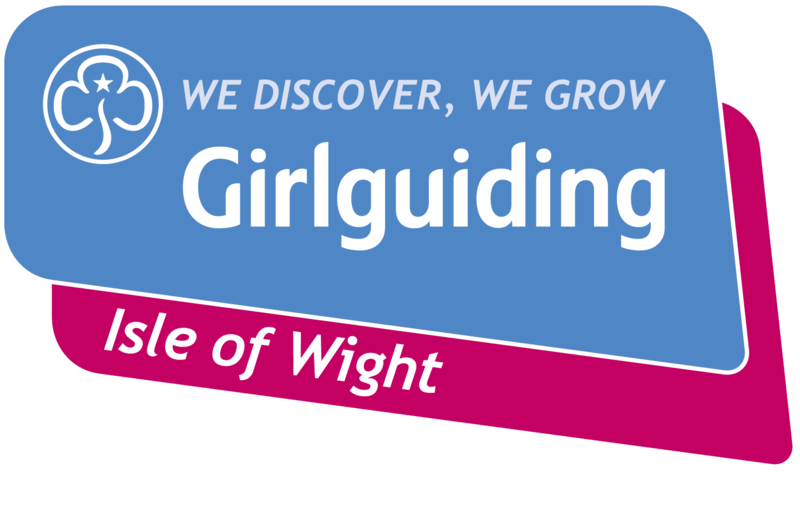 Included in the displays are examples of ‘Undercliff Day’, ‘Azurene’, ‘Jazz’, ‘Night Sea’ and ‘Undercliff Winter’. 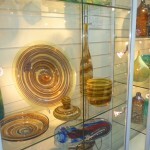 Around two-thirds of the exhibits were produced by Isle of Wight Studio Glass now with a studio located next door to the museum. 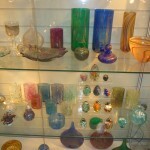 A large collection was also contributed by Alum Bay Glass. These two studios were the first to be established on the Island in the early 1970s. 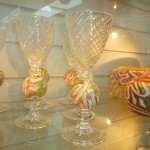 Additionally, Jonathan Harris Studio Glass has generously provided a stunning collection of cameo and graal glass as well as other innovative designs. 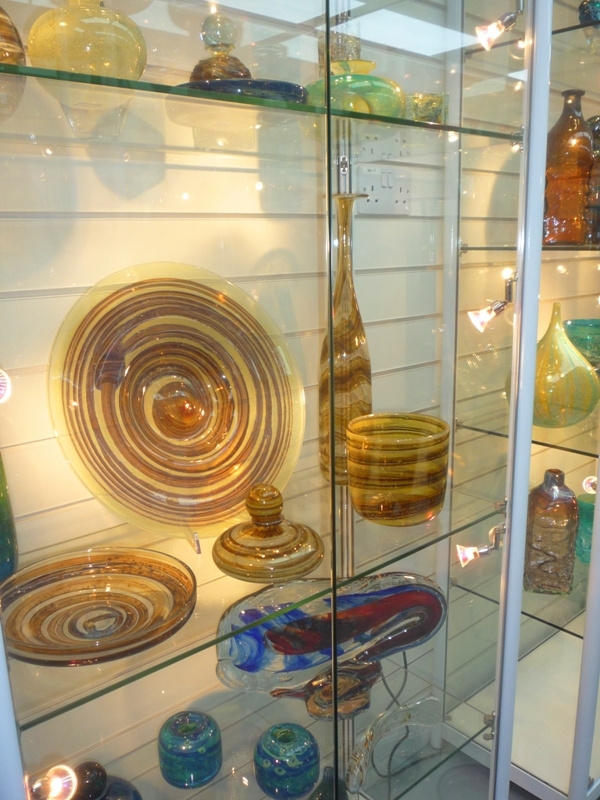 Timothy Harris, master glass maker at Isle of Wight Studio Glass, and Michael Rayner, founder of Alum Bay Glass were in attendance at the opening which saw dozens of visitors who appreciate glass enjoy the fine examples of glass in its many forms. Short talks were given by personalities in the glass world, including Mark Hill, well-known expert on the BBC Antiques Roadshow and co-presenter of Cracking Antiques, Uncovering Antiques and Collectaholics for BBC2. 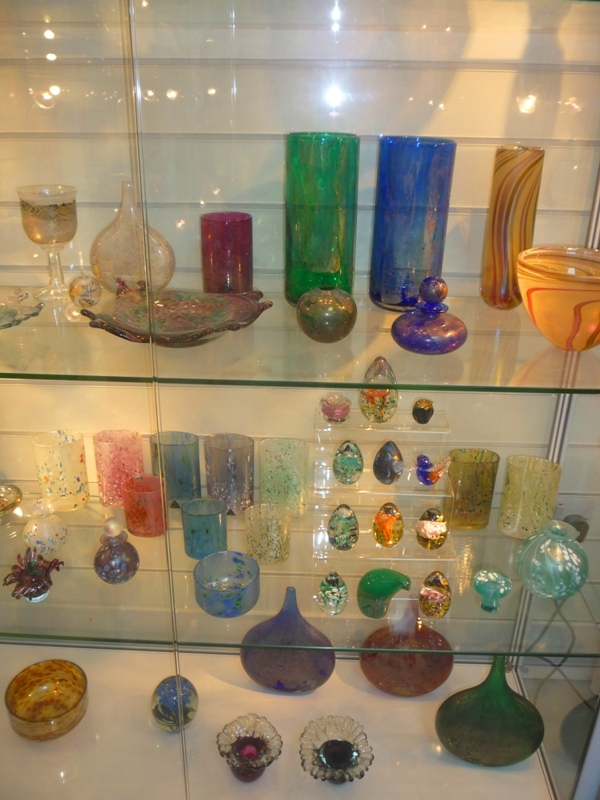 A real treat for visitors to the museum will be to see Mark Hill’s collection of Mdina glass produced during the period when the Harris family owned the studio on Malta and early pieces of Isle of Wight Studio Glass produced by the studio when it was at St. Lawrence. The museum was fortunate to be able to buy the collection recently. Mark has written a book on the glass made by Michael Harris and many of the items illustrated in his popular book will be in the museum. 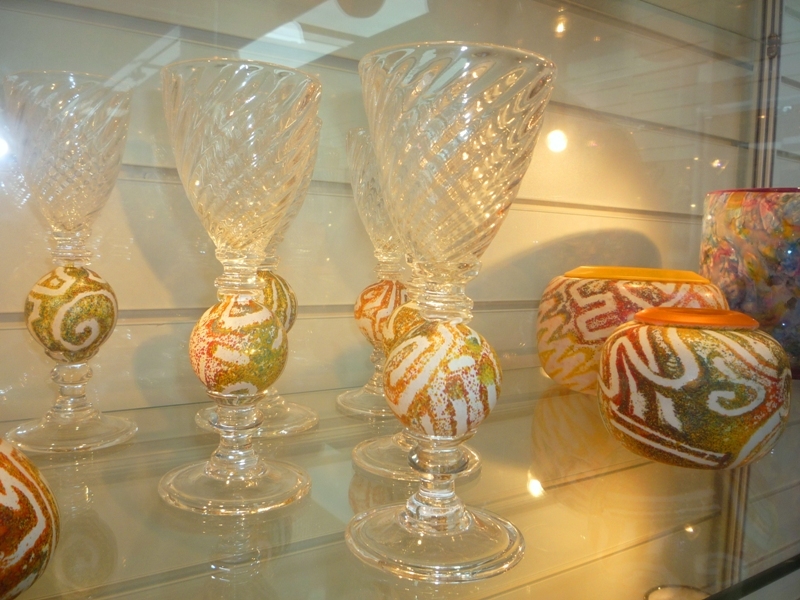 Michael Rayner explained how he had ventured into glass making whilst living in Cornwall saying he got much inspiration from Cornish views especially St. Michael’s Mount. He later moved to Freshwater and started Alum Bay Glass. 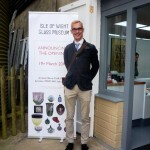 Timothy Harris explained the story of the founding of Isle of Wight Studio Glass and its forebear Mdina Glass on Malta by his father Michael Harris. Ron Wheeler, foremost expert on Isle of Wight Studio Glass, spoke on his first dealings with Michael Harris and how this progressed into him having been a dealer in the studio’s glass for over 35 years, gaining sales of glass around the World and setting up markets for Wight produced glass in China.